Last June, we wrote about Scott Christensen. Scott had a failing kidney and was heading for dialysis in the coming months. We hailed Scott as the epitome of what a determined individual with a good dose of luck might achieve by running his own campaign to find a donor. Have you ever considered saving a life? Scott has medullary cystic disease, a rare inherited kidney disease for which there is no cure. Scott’s kidney function is borderline at this point and he will be facing dialysis as his kidneys continue to deteriorate. I donated my kidney to a stranger on September 22, 2015. What I learned in the process of donation has motivated me to help others who are in need of a kidney to find a donor. 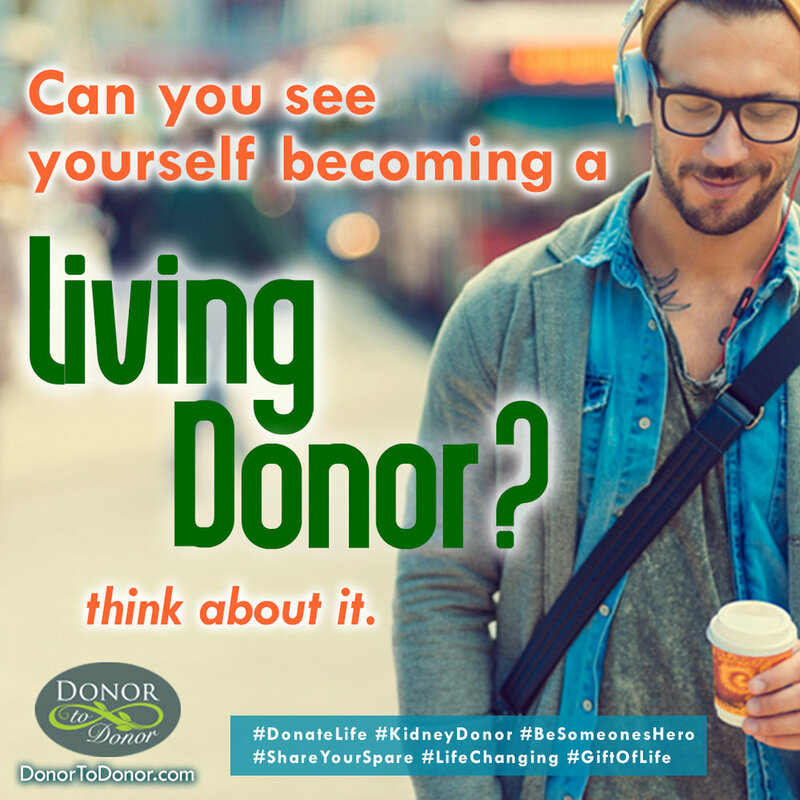 This blog is part of the effort I have named Donor to Donor, where a past donor is matched with a patient in need of a kidney transplant and charged with helping that patient to find a suitable donor.